Propane Gas information from Pioneer Rentals Inc. Your local tool and party rental store. Serving Morris, Essex and Union County. "Our Service Is The Difference"
DON'T BE FOOLED! 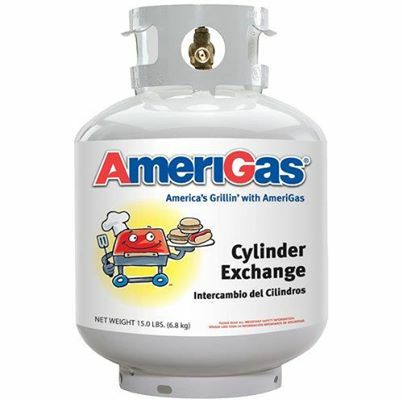 Ever wonder why a propane cylinder exchange is cheaper and tends to run out quicker than a refill? It only LOOKS to be less expensive. Take a close look at the label....you only get 15 lbs. of gas. Your cylinder holds 20 lbs. Don't be shortchanged.......Have your tank refilled instead of exchanging. We refill YOUR tank....we do not exchange. Unlike tank exchanges, we completely fill your tank. We are a certified disposal site for propane cylinders. If your tank is out of date or you need to dispose of a 20 lb cylinder due to a move etc., you can bring it to our location for proper, safe disposal. Due to recent restrictions, this service can no longer remain free of charge. Currently there is a disposal fee of $10.00 per cylinder.